Several former top Florida high school cross-country runners competed in Saturday's USATF Cross Country Championship Junior races. Here is how they performed. 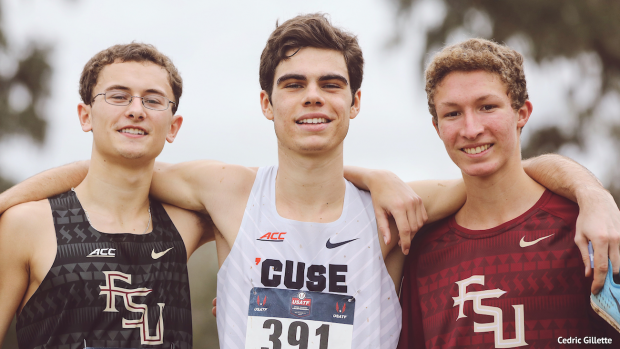 Chiles alumnus, Michael Phillips, returned to his home cross country course this weekend, this time with a Syracuse jersey on. Philips was the highest Florida high school graduate finisher, placing eighth in the 8k race in a time of 24:56. Paul Stafford and Matthew Newland, of FSU, were the next to follow with their 25:36.6 and 25.51.4 performances to round out the college squad that competed at the championships. Rheinhardt Harrison was the lone high school competitor from Florida and proved that he is ready for his upcoming outdoor season with his 28:14.8 8k debut. Chiles alumna, Erin Phelps, finished strong in the Junior Women's race in a PR of 22:41.7 to place 13th overall. Phelps went out steady going through the 2k around 7:42 and the 5k at 18:49. Phelps' FSU teammate and Mosley HS alumna, Ella Swigler, finished 18th overall in a PR of 22:53.6 -- going through the 5k at just around 19:04.